Mechanics, Consistency, and then Intensity! Gymnastics is one of the three foundational modalities of CrossFit. If gymnastics are developed and performed correctly, they can influence every aspect of your life and have a dramatic impact on your fitness. Not only do they improve all ten components of fitness, but nothing compares to gymnastics in terms of enhancing the four neurological components (coordination, balance, agility, and accuracy). Gymnastics also produce significant strength gains without the need for an external load. 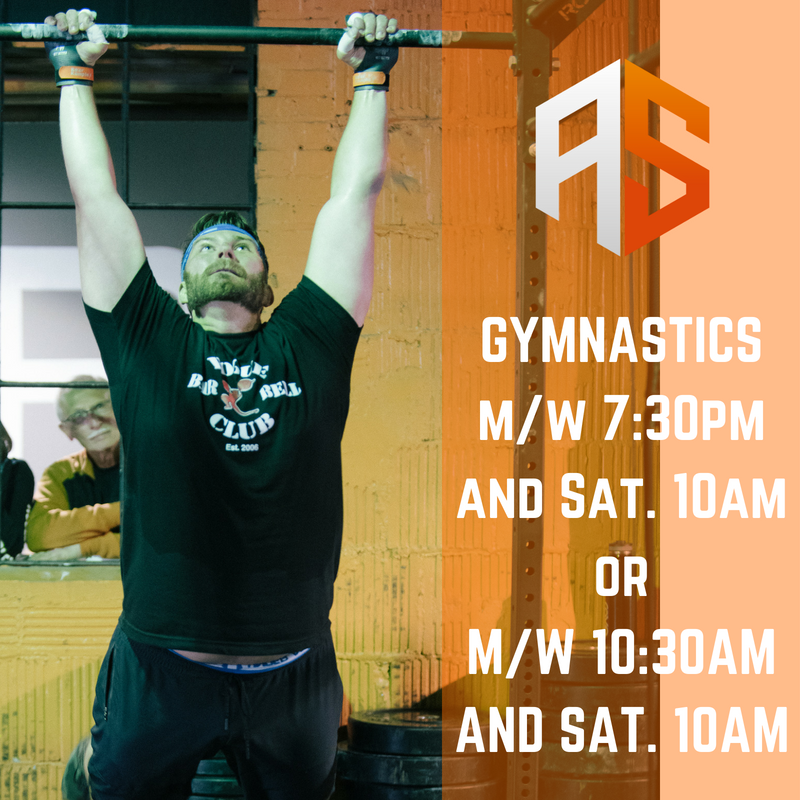 Just like anything in CrossFit, the gymnastics course will focus on mechanics and consistency, before progressing to intensity. After all, if we don’t have the strength to perform movements strict, we are only setting ourselves up for potential injuries when we start to apply momentum (kipping). Unlike our past gymnastics courses, the 2.0 version will also include a gymnastics based WOD at the end of every day. It is recommended that this replaces class for the day; however, if you have some time in between workouts, you could double dip depending on how your body is feeling and how you generally recover. Modifications will be made for any level of an athlete! If you have any specific questions about the course don’t hesitate to reach out or if you are ready to get signed while spots still remain, email me at vince@arsenalstrength.com to reserve your spot!